Many businesses in New Zealand use email marketing to find new sales and leads. You can do the same, but you first need to take steps to build your list of email subscribers. You then need to increase levels of engagement with the emails you send. Let’s start with how to increase subscribers. Offer visitors something they will value – one of the best ways to get people to sign up to your email marketing list is to offer them something they will value in return for their email address. An eBook is a good example, particularly if it is on a highly relevant topic. Reports, white papers, and other types of exclusive content will also work. Give subscribers exclusive offers or discounts – you can also give subscribers to your email marketing list a special discount, or you can give them access to exclusive offers. Make the signup process simple – to maximise the numbers of people who sign up to your email marketing list, you need to make it as easy as possible for them to do so. Ideally, you should ask for very little information as the more fields you ask visitors to complete, the less likely they are to sign up. Add an option to signup on your contact forms – you should also include a tick box on the content forms on your website. Ask people to sign up – finally, make sure you ask people to signup with a clear call to action. Increasing engagement on your email campaigns means getting subscribers to open the emails you send and then to click on the links. Personalise your newsletter campaigns – you should personalise the emails you send as much as possible. This can include, for example, using the recipient’s name in the subject of the email as well as addressing the person by name in the body of the email. Segment your email marketing campaigns – it is also helpful to segment your subscriber list, so you can send content that has greater relevance. You can segment by location, for example, or by interests. Ensure your emails have fantastic content – subscribers won’t open the emails you send if they are not interested in the content. Therefore, the content of your emails must get their attention. Get the frequency right – sending emails too often will turn people off and will result in them not engaging with your newsletter campaigns. Some will even unsubscribe. On the other hand, you can also send emails too infrequently. Getting the right balance is, therefore, essential. Write catchy subject lines – the first step of getting subscribers to engage with your email marketing campaigns is to get them interested in the email. This mostly comes down to the subject lines you write. They should be compelling, personalised where possible, and interesting. Send a welcome email – the email you are likely to get the most engagement with is the welcome email. It is usually an automated email that your email marketing system sends immediately after a person signs up. This is when the subscriber is most engaged with your brand, so make sure you customise the welcome email and add content that will help turn the subscriber into a customer. Here is one final bonus tip that will help with both building your subscriber list and increasing engagement – test, measure, and optimise. As e-commerce expands, Search Engine Optimisation (SEO) is increasingly important for small business owners. If you want to ensure you can compete with your online competitors, it’s important you optimise your website for search engines. If you have little experience in digital marketing or website building, however, it’s easy to get overwhelmed by the amount of information online. As a leading SEO agency in Auckland, we see this all the time. After all, there seems to be a million SEO experts on the internet and they often present conflicting information. False information about SEO can damage your website and your brand, so it’s important you approach the process with confidence. That means avoiding the myths that continually pop up on many SEO blogs and sites. In this article, we’ll take a quick look at the top eight SEO myths to help you navigate away from any basic mistakes. This is one of the oldest myths in the book. Website owners looking to boost their search engine results often load their content with keywords. While this might seem like a sure-fire way to improve your returns, Google and other search engines can easily spot this technique. In fact, Google has been using technology to spot keyword saturation for more than ten years. There’s another problem too: not only will keyword saturation damage SEO, it also makes your website appear less legitimate to customers. So, make sure you spread keywords throughout your content, don’t repeat them too often, and ensure they appear naturally. One way to improve your SEO is to increase engagement with your website. In other words, when other websites and blogs link to your site, your credibility improves in the eyes of Google. However, this has created an entire industry dedicated to creating page engagement for clients looking to enhance their stats. While this can sometimes work in the short-term, using manufactured engagement usually damages your page ranking. Search engines are now better at recognising fake or ‘spammy’ interactions, plus social media sites also work hard to spot fake engagement, penalising companies who engage in the practice. So, the irony is, real engagement with your company is likely to fall if you use fake engagement. Several high-profile hacks have made the news in recent times – many large companies have fallen victim to professional hackers looking to exploit personal data and information. If you own a small business, you might not think cybersecurity is applicable to you. Google, however, takes security on the internet very seriously. While it isn’t one of Google’s core ranking factors at the moment, there’s no doubt security will play a larger role in determining search results in the future. In addition, some web browsers also notify users when a site is not properly secured. This increases the chance that visitors will abandon your site without any interaction. So, there’s never been a better time to invest in site security. There is a lot of conflicting information online about how much content your homepage should include. Many people view their homepage as a segue to other parts of their site. This often results in a small amount of content on the homepage. However, recent trends indicate homepages should also include optimised keywords and content. In fact, it’s thought most homepages should contain around 2,000 words of high-quality content with related keywords. This word count also acts as a threshold, however, as loading your homepage with more content than this is unlikely to significantly enhance your SEO. Even when you have a lot of content on your homepage, you should still link to other areas of your site as internal linking is important to SEO too. When SEO first became a thing, all e-commerce took place on traditional computers and laptops. This meant web designers solely focused on building traditional web pages. This has changed as responsiveness is now a key factor in SEO. Responsive websites “respond” to a user’s device, so they display and work properly, including loading quickly. If you don’t optimise your site for mobile browsing, you will fall behind your competitors. This is because mobile optimisation is now a ranking factor in Google’s algorithm when users search on mobile devices. Plus, mobile browsing is now more prevalent than traditional browsing. So, optimising for mobile not only improves the ranking of your website’s pages, it also improves user experience. If you’ve read about SEO recently, you probably noticed a commonly used phrase: content is king. While it is true that creating authentic and useful content is one of the best ways to improve consumer engagement, keywords are equally as important. If you create great content that doesn’t include the keywords users search for, they may not be able to find your site. The key is to use relevant keywords to produce insightful and thoughtful content. You should approach this process comprehensively, optimising each page of your website with keywords. There are a lot of short-cut myths out there with some business owners looking for an easy route to improve SEO. One of the most common shortcut myths is the idea that purchasing Google Ads will improve your SEO, i.e. if you pay Google, it will reward you with better organic rankings. While this method might sound plausible in a cut-throat business world, it doesn’t actually work. You can’t use Google Ads as a bribing technique to improve your page ranking. Google Ads will improve user engagement and increase traffic to your website by targeting visitors that are likely to benefit from your site or product. If you want to improve your ranking in organic search, however, you need to implement an SEO strategy. The fact that this myth still does the rounds is quite baffling as link building remains a major Google ranking factor. As mentioned above, though, you shouldn’t try to cheat the process by purchasing backlinks. You’ll achieve the best results if you naturally earn links from authoritative websites. You can do this by creating great content and engaging key individuals and websites in your industry. If you’ve fallen for one of the myths mentioned in this article, you’re not alone as there are plenty of small business owners in the same position. After all, search engine optimisation is a constantly evolving area, not least because Google and other search engines update their algorithms and technology on a regular basis. Therefore, it’s important you stay aware of the common misconceptions in the industry. If you want to avoid wasting time and money, only use SEO techniques that improve your page rank. While SEO might sound difficult and confusing, avoiding traps is crucial to moving forward successfully. When people think about SEO, they often think quantity. This usually means targeting the most popular search terms (keywords) and getting as much traffic to your website as possible. However, a high-quality and results-focused SEO agency in Auckland will not take this approach. This is because one of the main reasons SEO strategies fail is because they target the most popular search terms. In most cases, this approach doesn’t deliver a return on investment. Despite this, many people still want to target these keywords because they are attracted to high volumes of searches. As a result, the most popular search terms often end up in SEO strategies. There is a better way, though – target keywords that have much fewer daily searches. These are known as long tail keywords. Adopting an SEO strategy that targets keywords that are less popular may seem counterintuitive at first. After all, you probably want to get as many visitors to your website as possible. Consider this question, though: do you want lots of visitors to your website or do you want to get more sales? For most businesses, the second option is the obvious answer. Keywords that have fewer daily searches are usually the best way to achieve a boost in sales. One of the reasons for this is they are more specific, i.e. they are used by people when they are closer to a buying decision. In addition, there is usually less competition when you target long tail keywords. Less competition means it is easier to rank higher on Google search results pages. Also, long tail keywords usually achieve higher conversion rates, particularly when the keyword indicates buying intent. To understand the benefit of long tail keywords, think about the buying journey for your products. Let’s say, for example, you sell bicycles. A woman thinking of buying a new bike might start her research by using the keyword “bikes” in a Google search. From an SEO perspective, “bikes” is a popular search term so will have a lot of daily searches. However, it will also be very competitive with major retailers and international bike brands appearing on the search results page, making it hard to rank in a high position. In addition, even if you do manage to get a high ranking in Google for “bikes”, a click from this woman is unlikely to result in a sale as she doesn’t know what she wants yet. These search terms are long tail so will have less competition than the keyword “bikes”. They will also have fewer daily searches, but the keywords are more specific, i.e. the woman is getting closer to making a buying decision. These search terms have more words than the list above, so they are likely to have even fewer daily searches. However, they are also very specific and indicate a strong buying intent, i.e. the woman is ready now to make a purchase. So, in this example of a woman buying a bike, it is better to rank well for the last set of keywords than the main keyword in this industry, “bikes”. After all, the websites that rank highly for the last set of keywords are likely to get the sale. The second batch of keywords is important too, though. This is because you can start building up brand awareness with the woman, as well as demonstrating your knowledge of the industry. For example, you could have a page on your website with the subject Women’s Commuter Bikes which gives details of the different styles, features, and brands of this type of bike. Then, when the woman does the more specific search, she will already be familiar with your brand when she sees your website on a search results page. Here is a fact you might not be aware of – 70 percent of searches on Google involve long tail keywords. That’s right, high-volume keywords like “bikes” make up only 30 percent of all searches on Google. Other research shows that over 96 percent of searches are for keywords that get less 50 searches per month. What does this mean? While your competitors chase the highly competitive short keywords, you should concentrate on the huge volumes of people who are searching for long tail keywords in your industry every day. If you look after SEO in-house in your business, you should incorporate long tail keywords into your strategy. If you use an SEO agency in Auckland (or are in the process of selecting one), you should make sure it includes long tail keywords in the strategy it implements for your business. Identify the keywords you will target – the first step is to research long tail keywords that people do use and that have buying intent. These are the ones you should be interested in. Research the keywords – the next step involves checking the pages that currently rank for your target keywords. Your objective is to make your page better than those that are already ranking. Create the best content on the internet – you then need to create a page focused on each long tail keyword. You must optimise it for the keyword, but it should also be better than any other page currently ranking on page one of Google. Promote your page – finally, promote your newly created page on social media, your blog, via email marketing, and by any other method you can use. You want the page to be read by as many people as possible in the hope they will link to it. The most important thing is to stop wasting money focusing too heavily on one or two-word keywords just because they get a high search volume. By focusing on conversions instead, your SEO agency in Auckland will get better results. Links can appear almost anywhere. They are the things that connect website pages together and help you get from one website or piece of content to another. So, you will have links on your website that connect to other internal pages, as well as links to external, third-party websites. The main focus of this article, however, is third-party websites linking to yours. What is the importance of this to SEO and how much emphasis should you place on getting other websites to give you a link? Links perform two main functions in Google and other search engines – they help Google understand the relevance of your website as well as its popularity and trustworthiness. What Is Your Web Page About? Let’s look at the first function above – relevance. Google uses a computer programme to analyse all the websites and web pages on the internet. This is known as the Google algorithm. As its job is to provide answers to people conducting searches, it is not enough for Google to know what web pages exist. It is not enough for Google to know what is on those pages either. Instead, when Google’s bot crawls your website and all the other sites in the world, it needs to understand what the page is about. For example, it must be able to tell the difference between a web page that talks about eagles (the bird), the Eagles (the band), or even the Eagles (the American Football team). Google uses lots of factors to help it achieve this, but one of the most important is links. So, a website about eagles is likely to have links to and from other websites about eagles, birds, and related topics. The same applies to the Eagles the band and the Eagles the American Football team. While understanding relevance is critical, the most important function of links is to help Google understand the popularity of a web page. So, a link acts like a vote for a website. This means, in very simplistic terms, the more votes (links) you have, the better. The theory Google works from is that people link to the content they think best matches the message or information they want to present. Google doesn’t just look at the number of links a website has, however, as the source of links is also important. Google uses the source of a link to determine the authority of a website. Again, it does this by using the knowledge and actions of real people. Specifically, it assumes (probably correctly) that people prefer to link to websites they trust. Taking this a stage further, links from websites that Google believes are trustworthy are much more valuable to your website’s SEO than links from low-quality, spammy websites. There is more than one type of popularity, however. After all, if Google’s analysis of links focused exclusively on the volume of links a website has, websites like Wikipedia would appear at the top of just about every search results page. Global – this applies to the big sites on the internet. Wikipedia is one of them but there are many others including the big e-commerce sites like Amazon and eBay. Local – links can also show you are popular locally. For example, a plumber that operates in Auckland would struggle to get the same amount of links as a major US brand that has multiple operations in multiple cities. Google knows, however, that a Kiwi homeowner is not interested in plumbers in New Jersey whenever they are dealing with a burst pipe in their Auckland home. So, it doesn’t matter how many links the US company has. Instead, Google assesses local popularity to decide which local plumber’s websites to include on its search results pages. Niche – sometimes niche popularity is important too. This applies to non-local businesses as well as blogs and other websites that have a wider audience than the local area. Links help Google understand how popular a website is within its niche. What is Anchor Text and Why is it Important? Most links you see on web pages are words or phrases highlighted in blue which you can click on. Those words or phrases are anchor text and they are much more user-friendly than a URL. Best practices for anchor text are to use words and phrases that relate to the page being linked to and that fit naturally on the page. You should avoid generic phrases like “click here”. Obviously, you can control the anchor text on your own website, but you have limited control when other websites link to you. Where it is possible to make a suggestion on anchor text, however, follow the best practices above. Google has to deal with huge volumes of low-quality, spammy, and often fraudulent content on the internet when it is delivering search results to its users. It does this by measuring trust . In other words, there are a collection of websites on the internet that Google trusts. This could be popular and authoritative websites like those mentioned earlier. It can also be websites from particular types of domain. Government websites and university websites are two good examples. The same also applies to some non-profit organisations. The power of a link to your website will not last forever. In fact, its value decreases over time. Therefore, it is important you continue to generate new links. Ways you can achieve this is by updating previously published content, re-purposing content in another format, and publishing regular new content. What About Facebook, Twitter, and Other Social Media Channels? One of the easiest ways to get a link to your website is via social media. After all, you control what is posted to your Facebook business page or Twitter account. Do these links help with SEO? Google and other search engines treat links on social media differently to standard links found on other websites. That said, most SEO experts believe links on social media are one of the factors Google uses when determining its rankings. It is not possible to know how much importance it places on these links, but they are worth getting, not least because they may directly generate traffic from the social media channel. As soon as website owners and dubious digital marketing operations realised links were important to Google, they started to fake them. Examples of this include setting up link farms, link neighbourhoods, or offering to buy or sell links. In other words, any tactic that involves getting a link unnaturally. This type of link building is one of the main features of blackhat SEO, so is something you should avoid completely. Google and other search engines are getting much better at identifying such practices and they are ruthless with websites that get caught. While you might see improved rankings and increased traffic to your website for a short period of time as a result of blackhat SEO and link building, the best you can hope for over the medium and long-term is a drop in your rankings. Even worse, you could be dumped to the very end of Google’s search results (i.e. hundreds of pages deep) or you could be kicked off completely. Trying to cheat the system simply isn’t worth it. The only way to get links that will give you consistent and safe results is to create great content on a regular basis that earns you natural links. Of course, there are strategies you can use to hustle this process along – an SEO agency in Auckland can help you implement such a strategy. Doing it the right way, however, is the only way. Are your AdWords campaigns failing to get clicks? Do your campaigns get clicks but those clicks don’t result in any sales? Are you paying too much for clicks or do you have to set your bid too high to ensure you appear in one of the top positions? 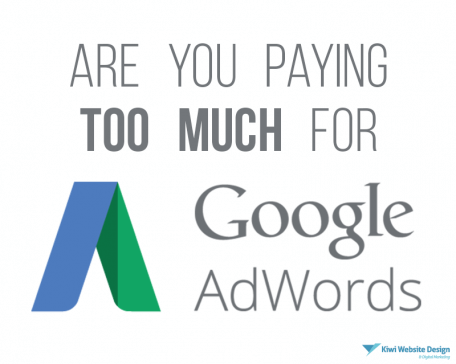 Are you not getting a good enough return on investment from your AdWords spend? We understand the frustration of each of these scenarios. After all, the pay-per-click model of AdWords appears so promising on the surface, i.e. you only pay when your ad successfully achieves a click. Of course, the reality is not as simple as that. Here are five reasons why your Google AdWords campaigns are not delivering a good enough return on investment to make them worthwhile. Getting the keyword strategy right in your AdWords campaign is crucial. This means selecting keywords that have buying intent. You must also analyse the competition to decide whether it is worthwhile targeting a specific keyword. For example, the competition might be too high making it difficult to get a return. In addition, you must also include negative keywords. Negative keywords ensure Google sends the right traffic to your website by not showing your ad on search results pages that are not relevant. Writing the text of a Google AdWords ad is a crucial part of setting up your campaign. There are a lot of things you need to think about, however. Firstly, you must ensure you follow Google’s AdWords’ policies. There are also character restrictions you must follow. If your ad text doesn’t do all three of these things, you won’t get the results you should. Of course, getting a click on your ad is only part of the process of making an AdWords campaign successful. You also must convert that click into a sale. That is the job of your landing page. The first mistake people often make is using the homepage of their website as the landing page. In fact, in most situations, existing website pages do not typically make effective landing pages. The best approach is to design a specific landing page for the AdWords campaign, focusing on the user, answering all their questions, and giving them a reason to purchase right away. Even the most experienced AdWords professionals will analyse the performance of the campaigns they run, making adjustments to improve results. It is also important to run tests, including split tests, to optimise every aspect of the campaign. If you are not doing this, your return on investment will not be as good as it could be. 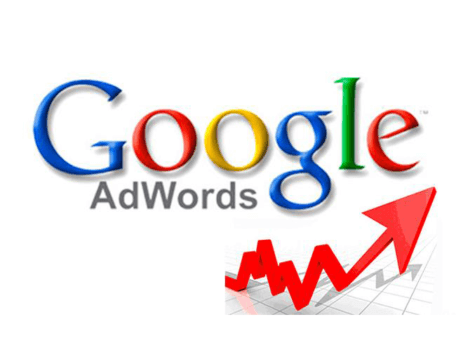 In theory, anyone can set up a Google AdWords account and launch an advertising campaign. This is because Google makes the process of doing so as easy to follow as possible. However, optimising a campaign, making it profitable, and maximising return on investment requires specialist expertise. You can get this if you spend time gaining the experience and achieving certified Google Partner status. If you can’t do this, however, you should consider getting AdWords experts to run your campaigns. Even when you factor their costs in, you will get a better return on investment than running a campaign that is not optimised. Ranking number one in Google for targeted keywords has always been tough, but it is becoming increasingly difficult. In fact, it is so difficult now it is simply not worth the time, effort, and money. You won’t get a return on investment, particularly if the keyword has a lot of competition. This is an unusual concept for many people to understand, whether you are a digital marketing expert or not. After all, appearing at the top of Google has been the goal of businesses online for more than a decade. We are focused on ROI, though – getting a tangible return for the money, time, and effort you spend on digital marketing activities. On that basis, chasing the number one spot in Google is not worth it. First, let’s look at why and then we can look at what you should do instead. Firstly, you need to post lots of content. In simple terms, websites in the same industry or niche as you that post more content will usually get a higher position in Google. What does lots of content translate to, though? According to HubSpot, it is 11 or more blog posts per month. That’s more than two per week which is more than most small and medium-sized businesses can achieve. Remember also they must be high-quality blog posts. Throwing up a couple of hundred words promoting something about your business or rehashing something that has appeared somewhere else is not going to cut it. You need longer, unique, informative, and useful blog posts three or more times a week. As already mentioned, that is a bar that is too high for most businesses. Can you really afford to spend so much time writing content when you have customers to service and other aspects of your business to run? Another key element to ranking number one in Google is backlinks. You need thousands of them to rank for most of the important keywords. Not only that, the backlinks must come from high-authority websites and there must be multiple domains. Unless you’re willing to spend tens of thousands of dollars on building this backlink profile for your target keywords, you are unlikely to get enough to get you to number one. In addition to the above two points, you are probably competing with an established competitor. They will already have content that Google knows people like and it will have backlinks. For many keywords, that head start is too much to come back from. Even if you manage to deal with the content, link, and established competition issues, the results you get from ranking number one in Google might not give you a good enough return on investment. After all, just 66% of search queries get a click, and most experts believe that number continues to fall. Cluttered search result pages – on a search results page, people often have to wade through PPC ads, Google Shopping results, social results, news results, video results, and more. All too often, the organic search results, including the number one position, get lost in the mix. Google often gives the answer – for many keywords, Google tries to give the answer to the user’s query right on the search results page, negating the need for the user to click through to your website. Finally, Google constantly changes the way its algorithm works. So, let’s assume you find a way to deal with the above issues, you get to number one, and you’re getting traffic. Google then changes the algorithm in a way that drops you out of the number one position. In this situation, the fortunes in time and money you have spent getting to number one are for nothing. You should focus on results, not traffic. Getting to number one in Google is about maximising traffic. Focusing on results is about maximising profit which makes much more business sense. You should also focus on how your web pages look on search results pages instead of their position. This means optimising the page title of each page as well as the meta description – the two-line summary you see under the headline of each listing on Google’s search results pages. Both of these should encourage the user to click on your website instead of one of the other options. Focusing on results IS worth your money and time, and will deliver a much better ROI than trying to get to Google’s number one spots. According to an article in the New York Times titled Blogs Falling in an Empty Forest, approximately 95% of blogs fail due to a lack of readership. Luckily, I have grown one of my blogs into 50,000+ monthly visitors. I have tried every method on the internet and am still exploring more. However, I want to let you know that it didn’t happen overnight and it took a lot of testing, failing, and starting all over again. This article contains unique and practical ways to promote a blog and get traffic. I hope this guide will help you unleash the true potential of your blog. One of the best ways to get traffic is by publishing more articles. Research from HubSpot shows that a website that publishes 16+ articles a month will get more traffic than a website that publishes five articles a month. Even the popular internet marketer and blogger Neil Patel has revealed that his traffic grew from 46,134 to 59,787 when he increased the article frequency on his site from one to two articles per week. It is proven in research that publishing more articles will always result in more traffic. Therefore, increase your article frequency today and you will see a significant increase in traffic – guaranteed. Research by serpIQ shows that Google ranks content that has 2,000 words better than content with fewer words. This is another reason why Neil Patel’s articles get lots of traffic – he writes detailed articles. His average article ranges from 4,000 to 8,000 words. Email is one of the top sources of traffic for most blogs. If you haven’t started building an email list, you should start now. Go to Mail Chimp and start building subscribers. Another proven method to grow traffic is by writing for other people’s blogs. For instance, you can choose a blog which is bigger than yours and write an article for it. The other blog will probably have a bio section as part of the guest post where you can include a link to your website. This can bring a lot of traffic. Search engines such as Google, Bing, and Yahoo are the number one source of traffic for most established blogs. So, it is extremely important to follow good SEO practices on your website and optimise each article for a specific keyword. The right comment on a highly authoritative blog can send you lots of traffic. You should identify the top blogs in your niche and start interacting and commenting on them on a regular basis. This will get the blogger and members of his/her community to notice you and visit your blog, leading to more traffic to your website. You might even get a link or an invitation to guest blog out of your efforts. Many bloggers fail to get traffic because they take a passive approach to blogging. If you simply publish your article, rest, and then wait for the traffic to come, nothing will happen. For every article you publish, make sure you have a solid blogger outreach plan. To do this, compile a list of dozens of relevant bloggers that you can email your article to, asking them to share it or link to it. This article is a good place to learn how to do blogger outreach. 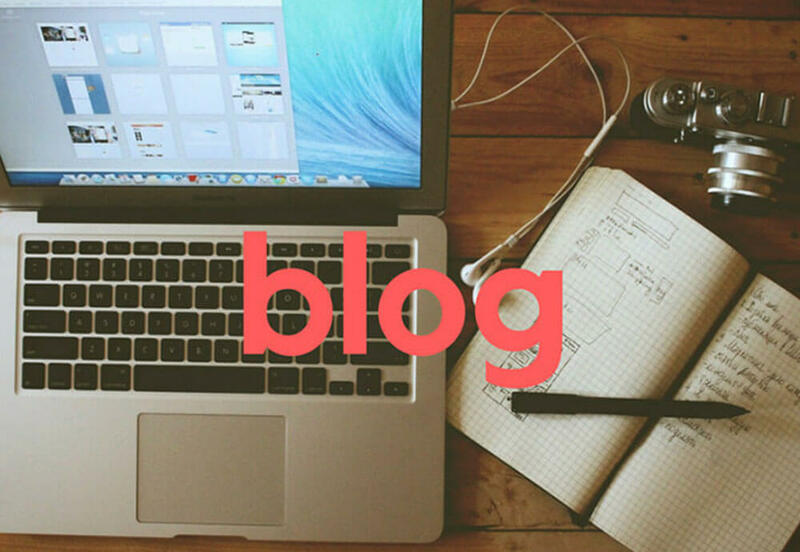 It is recommended you follow all these points to guarantee the success of your blog. Other methods can also contribute to more growth. I assume you are already running a Facebook ad and want to take it to the next level. Facebook ads are very profitable and there are numerous ways to make them effective. Everyone can run Facebook ads today as they are easy to setup. Just write a few words and upload an image and you are good to go. However, if you want to run a Facebook ad effectively then this simple approach won’t work for you. In this article, I will show you how to create an effective Facebook ad. The Ad headline is the first thing that people will notice. It’s important you grab your audience’s attention from the first look at your ad. According to a recent study, 70% of people only read the headline of content shared with them on Facebook before sharing it themselves. Sometimes, headlines are so interesting that people share it before even reading the content. So, headlines can make a huge difference in the CTR and CPC of your Facebook Ads. Targeting is the most important factor when creating a successful Facebook ad. You can make a highly attractive ad but it will not work unless it reaches the right audience. The secret to targeting is making the audience narrow. You should never use a broad audience unless you are a multinational company like Coca Cola or Toyota. The content in your Facebook Ad should be aligned with the content of the link attached to it. In this way, people will get what you promise them on the ad. Secondly, you will get a high CTR which means you will pay less while reaching a larger audience. This also increases your conversion rate. It is recommended you run one ad at a time for testing. For example, take one ad, duplicate it, and then make changes such as giving it a new headline. When you run one ad at a time you can test which performs better. Experiment with different ad placements instead of selecting all placements. Then, test your ad to see which placements work well. For instance, try the news feed then go for right column ads – you can even try an Instagram ad placement. Also, check mobile and desktop placements separately. This technique will allow you to control your budget and reach a more precise target audience. There are different ways to optimise your Facebook ads. You should experiment with different headlines, audiences, placements, and more to improve the results from your Facebook advertising. Author adminPosted on December 20, 2017 February 23, 2018 Categories Blog, Online Marketing, SeoTags Advertisement, Facebook, Facebook AdsLeave a comment on How to make an effective Facebook ad? Everyone wants their website to rank higher in Google’s search results. Although it is not easy to get to the top unless you are Wikipedia or the BBC, it is still possible. You can do it if you stay consistent and take it seriously. In this article, we will look at eight steps to rank higher for a keyword in Google’s search engine. The most important thing is you need a strong website which follows SEO good practice and has external links. Secondly, it is useful to have an audience on social networking websites, such as Facebook and Twitter, where you can share content. You probably know what keywords you want to target but it is best to check the facts using keywords tools to see the search volume for the keyword as well as the competition before you finalise your keywords for targeting. It is best to choose a keyword which is relevant to your business model and has an average search volume. The domains and URLs – how many domains and URLs have the exact keyword? The titles – how do the title tags incorporate the keyword? The type of content – do they have product pages, blog posts, videos, etc? The authority of those sites – use third-party SEO analysers to check the domain age and source of backlinks. In order to beat your competitors, you need to do better than them. Therefore, try to do more and better on your website. It is recommended you target long tail keywords as they are easier for searchers to find. Try to be more specific and keep one page for one specific keyword. The next part of the plan is to make sure you have quality content on your website. Quality with quantity will do the job. Plan your keywords on each page including on blog posts, product pages, and videos. Optimise your content while you create it. Use the targeted keyword in the page title, headline, body text, URL, meta description, meta keywords, and even in image titles and alt attributes. When your website is all set, it is time to promote it. Share your content on social media pages and use social buttons on your website to make it easy for readers to share. You should also build links to your content – strong links makes it easy for Google to crawl. Use free third-party SEO analysers to make sure your website follows all good SEO practices. Find out which points are missed and which sections need improvement. You should also check keyword rankings manually. Use analytics tools to see which keywords are performing well and which keywords need improvement. This process is time-consuming and requires patience and constant improvement. There are no shortcuts but, whatever your business is, you can make this work for you. If you don’t have much budget but are looking for new ways to drive traffic other than SEO, email marketing, social media, or guest posting, then this article is for you. In this article, I will show you how to drive targeted traffic and reach thousands of people for free via Amazon Kindle Direct Publishing, twisted guest blogging, and by partnering with others. Do you know that self-published books now represent 31% of e-book sales in the Amazon Kindle Store? Before the emergence of the Amazon Kindle Store and other similar online bookstores, you needed thousands of dollars and the help of a large publishing house to get a book published. This is now changed as anyone can publish a book within a day. In addition, this technique can be used to drive traffic to your website or blog. When you publish your Kindle book, you can enrol the book in the Kindle Direct Publishing Select Program. This makes your book exclusive to the Kindle Store for 90 days. Amazon also includes it in the Kindle Owner’s Lending Library where thousands of targeted readers can borrow it for free. Furthermore, you can run a free promotion for a paid e-book for five days. To drive traffic to your website through your Kindle book you can place a link directly inside the book. Another way of getting traffic is using free giveaways. This is a unique approach that is very different from typical guest blogging – this is the reason it is given the title “twisted”. According to Neil Patel, one blogger recorded a 203% increase in traffic growth in 2013 when his guest posts were featured on high-traffic and relevant blogs. The objective is to get featured by one of the blogs after it accepts your guest post. You can place a badge of a company on your website or blog, or share your content with other blogs, in exchange for them driving traffic back to your blog. This approach involves partnering with them. There are many popular blogs that are looking for quality content and if you provide it to them, they will have no issues linking back to your website. In order to get this partnership, you must consistently reach out to potential websites and blogs. Most probably you will get one yes out of every 10 blogs you hit. 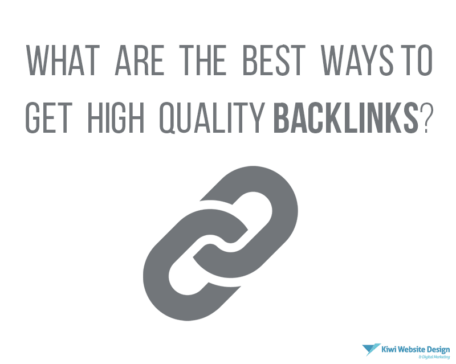 Backlinks are one of the most important things to consider when we talk about SEO. With the advent of Google, SEO began to gain traction with backlinks becoming a major element of the SEO process. So, without backlinks, you can’t rank higher in Google’s search results. In order to rank higher, you need to get quality links from authority sites. As building backlinks is a very critical process to the success of SEO, this article will talk about different ways to get quality backlinks for your blog or website. First and foremost, you need to install the SEO Quake Toolbar. This will help you identify the PR of the page where you will insert a comment with a link to your website. As manual blog commenting can take some time, it’s important to choose your targets wisely. One of the best tools to get started with is SEO Quake. Simply go to http://www.seoquake.com/ and click the Install button to add it to your browser toolbar. Another tool I recommend is Drop My Link. Go to http://dropmylink.com/, enter your target keyword, and hit search. Check to see which results have enough page-level PR to make posting a comment worth your while. This one looks promising. Now, scroll down to the bottom of the page and see if there’s still an active comment area. It is not recommended that you drop an anchor text link by putting your keyword in the Name field as this has two downsides. Firstly, it sets you up for a Penguin penalty and, secondly, it puts a target on your back as a spammer. Instead, use the name of your site or your own name. Now, glance over the article and add a thoughtful comment. Remember, just because the blog auto-approves your comment doesn’t mean they won’t moderate them eventually. If you have a natural anchor text link along with an insightful comment, the comment will probably survive. Moreover, you can also use Drop My Link to find .gov blogs that allow comments. Simply repeat the process. Author adminPosted on December 20, 2017 May 28, 2018 Categories Blog, Online Marketing, SeoTags Backlinks, Keywords, seoLeave a comment on What are the best ways to get high quality backlinks? Email marketing is widely used to reach a larger audience and to maintain returning customers. However, if only a few people open your emails, this strategy might not help you. Have you have sent emails to your list but only a few of them get opened? If so,you are not alone. According to Epsilon’s fourth quarter email analysis, the average open rate for emails is only 27.4%. The problem is that in order to get the attention of your customers, you need to write an effective email subject line. Doing this will increase your email open rate by 100%. To get the best results from email marketing, you need a unique selling proposition. Ask yourself what makes your product unique and what makes it better than other products on the market. Also, how can you present your product to the right people to get more clicks? You should always use the recipient’s name when sending emails. This includes using their first name or last name in the subject line instead of “Dear”. This will immediately grab the attention of your customers. Another factor that increases open rates is writing a subject line and then sending it at the right time. For example, sending an email at 6:30pm on a Friday evening with the subject line: “Where to Go for Dinner Tonight”. The subject line and timing is just right for people thinking about dinner plans. It is best to include a subject line that explains what is inside the email. Examples include “Free E-Book” or “Free Trial”. This works better than a simple subject line because it makes it clear what the recipient will get in the email. You may be using AdWords already and,given the title of this article, are probably now looking to reduce the cost of your campaigns. When it comes to AdWords, it is easy to set up an account and put it in automatic mode, letting Google do the job for you. However, this may target the wrong audience and, eventually, your whole marketing budget will go in vain. There is no easy solution for lowering cost per click. Even if you intend using AdWords in manual mode, there are so many things you should consider before jumping in to use it via a trial and error method. That said, finding a lower cost per click (CPC) for the keywords of your AdWords campaigns is a very important step in becoming competitive. However, achieving a lower CPC depends on your industry, product, and location. Here are some tips that, if applied properly, could help you reduce cost per click. Similarly, increase your bids for keywords that convert into sales or bring more customers to your website. This will increase the position of your ads so that, for example, if they were placed in position four they could potentially move to number one, assuming you run your ads on the search network. It is better to start with one campaign and manually fill the bids. This can be time-consuming but it will deliver a better campaign result. The average CPC shows you the exact amount that you spend per click on a keyword. When you enter the bidding section, you must account for your bid manually. It is important your bid is higher than the average CPC as your bid is the maximum you are prepared to spend on any given click. That said, it is important to set your bid at a level that’s close to the average CPC in your campaign so you can maintain your ad’s ranking or improve its position without spending additional money. You should also remember you need to run your ads for several days, or even weeks, before deciding which bidding strategy you should adopt. The reason behind using only the search network is the display networkgenerates more irrelevant clicks than relevant clicks so you will eventually waste your money. Before deciding on whether you should go for the display network or not, you should ask yourself if you want to show your ads on irrelevant websites that do not attract your target audience. So, rather than using display networks, it is better to increase your CPC so your ads send relevant traffic to your website. You can also check the performance of both the search network and display network by pausing one ad to test the other one. It is extremely important to focus on long-tail keywords as, in the beginning, you cannot afford to waste money on generic, headline keywords like “bus”, “engineer”, “car” etc. These are keywords the big brands go for. Big brands may not benefit from long tail keywords as they go for keywords with a bigger reach. However, if you are starting out you cannot compete with the budgets of big brands on headline keywords. Also, remember that long-tail keywords usually generate a high click through rate of relevant clicks which increase the likelihood that you will end up with sales. One of the most important factors in achieving good results from AdWords is toadjust your keyword bids based on location, day, and time. You can implement this trick by monitoring your ad results and then changing the bids. For example, you can increase your bid on ads which are performing better and generating sales while, on the other hand, you can lower the bids for ads which have no sales on aparticular day or at a particular time. Google AdWords has a huge target audience. You can get sales and even double your revenue in 24 hours if you do things right. That said, it is very difficult for an individual to master all the optimisation techniques when you have a limited amount of time and budget. If this applies to you, you should hire an AdWords consultant to fix everything for you. At Kiwi Website Design, we offer a Google AdWords marketing package so if you are planning to usethe platform, please don’t hesitate to call us or shoot us an email. Author adminPosted on December 20, 2017 May 28, 2018 Categories Blog, Online Marketing, SeoTags Cost Per Click, Online Marketing, seoLeave a comment on How To Reduce Cost Per Click? We will guide you step-by-step to show you how to reduce Google AdWords’ costs and increase the response rate. Minimising AdWords costs requires a series of creative, trading, and technical skills. You need to be creative to write a compelling and innovative ad that searchers will love to click. Trading skills and managing bids are necessary to minimise your cost per click. Technical skills are required to effectively organise keywords, bids, ad groups, ad copy, and landing pages. In offline advertising, specialists complete these tasks. For example, with print and TV adverts, a creative company will design your ad, a trader will find an ad placement and set the timings, and techies will look after production. However, in AdWords, you must do it all. Most AdWords users develop one of the required skills. Consequently, they use their one strength but neglect the remaining weakness. As a result, they fail to use all the tools available to create high click-through rates and lower costs. We look at some creative, trading, and technical tips below. Before we do that, there are two key metrics you should be aware of to measure ad development. They are click-through rate (CTR) and Quality Score. 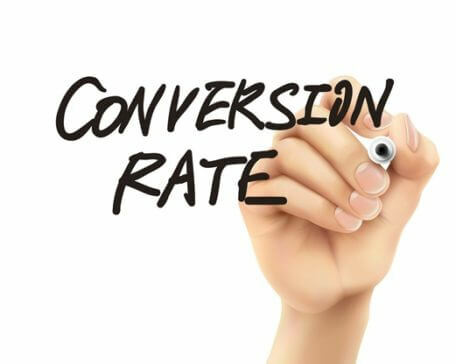 CTR is a way of measuring the success of an ad campaign by calculating the number of clicks on a specific link. Quality Score is based on the relevance of your ad to the search terms you are bidding on and to the relevance of your landing page. AdWords ads that get high click through rates and have a high Quality Score have a lower cost per click (CPC) and they rank higher on search results pages. Let’s have a look at how you can run a Google AdWords campaign effectively by developing your creative, trading, and techie skills. The most important skill you need is the ability to write attractive ad content that matches the keywords you are bidding on. This is the skill through which you can maximise your bid success. It involves gaining control of your bids and lowering costs. There are three types of match keywords you can use to control which searches trigger your ads to appear. If your broad match is positive, your ads will be displayed on the maximum number of searches. When using board match, AdWords matches your ads with any search containing your keyword. The first thing you must do is organise the groups of keywords you are bidding on. You should also make sure your ads and landing pages match your keywords. An ad group is a group of keywords you are bidding on which matches the content of your ad and the landing page. The last thing you need to remember is to focus on the very specific subject otherwise your ad will not be fruitful. To run an efficient AdWords campaign, you need to learn creative, trading, and techie skills. If you can’t manage this, you should hire an expert. Author adminPosted on December 20, 2017 July 10, 2018 Categories Blog, Online Marketing, SeoTags Google Adwords, Online Marketing, seoLeave a comment on Are You Paying Too Much For Google AdWords? SEO stands for Search Engine Optimisation. It involves optimising your website to increase the number of visitors by obtaining a high-ranking placement in the search results pages of a search engine. SEO is the number one priority when it comes to website publishing. After all, according to Search Engine Journal, 90% of online experiences start with search. If people can’t find your website they can’t read it, use it, or share it with others. Over the years, SEO tactics have changed with modern strategies that focus on user experience. Before these modern strategies, there were keyword-based optimisation methods and other black-hat practices, although these are now obsolete. That said, throughout its history, SEO has been a cost-efficient and valuable strategy for website owners. Website owners who are unfamiliar with the technical side of coding believe Google’s search algorithm is something extremely complex. As a matter of fact, it is complex, but that doesn’t mean you cannot understand it. Despite the complexity of Google’s search algorithm, it is possible to achieve positive results with simple strategies. The main goal of Google is to provide the best online experience to its users which means giving them appropriate and relevant search results. Thankfully, these search engine requirements can be achieved by basic strategies. Today, SEO strategies come in two flavours: onsite and offsite. Onsite content involves making sure your website pages, titles, tags, content, and overall structures are optimised for your target keywords. Another important factor is to include strong headlines and compelling paragraphs on the main pages of your website including the homepage and product pages. On these pages, use words and phrases that explain your business. In addition, you should implement a blogging strategy as this is a great way to boost your online presence. Write at least one or two blog posts per week about topics related to your business and make sure you engage with your audience. Offsite SEO is a little tougher than onsite SEO. Offsite SEO involves building authority. To understand the authority of your website, major search engines look at other websites that link back to yours. If lots of websites link back to you then Google will think you have good content. This will rank you higher although this has also been the source of many black-hat SEO tactics in the past. Building a social media presence is now considered compulsory in order to attract a bigger audience. So, you should create profiles on Facebook, Twitter, LinkedIn, etc and post regularly to engage with your audience. This will ultimately improve your online reputation. Challenges in finding the right audience occur when you don’t know what type of articles you should write on your blog or what keywords you should include. The best solution is to first describe your business. This will help you find out who your customers are. SEO is very time-consuming and it is certainly not a one day job. It requires a lot of figurative sweat and blood to implement properly. In addition, you may have other responsibilities and tasks to do along with optimising your website. Remember, you can always hire an SEO company if you can’t manage it yourself. While SEO is easier than you think, the time-consuming nature of the task means it is not always possible to do it by yourself unless you are able to dedicate time to it. At Kiwi Website Design, we create websites and provide SEO services using the latest techniques to help increase the online presence of your business.